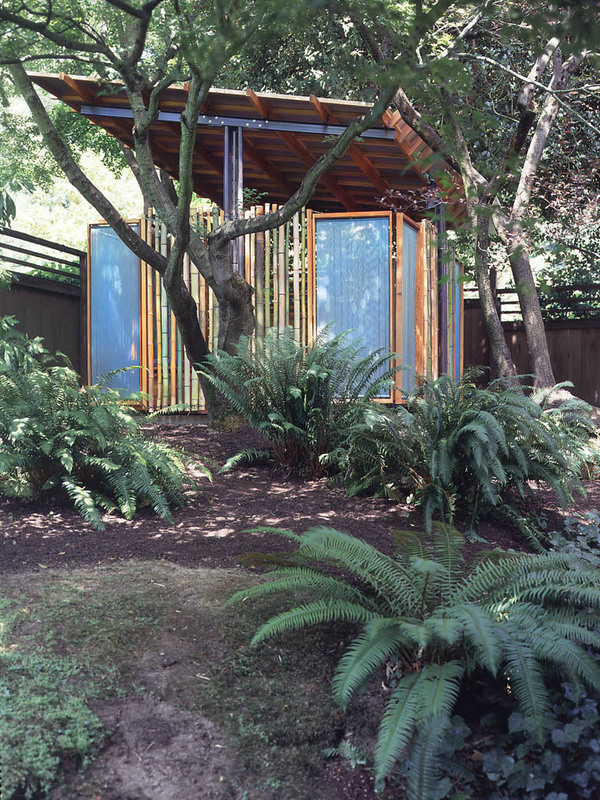 The pavilion is in a lush garden on an urban residential lot. 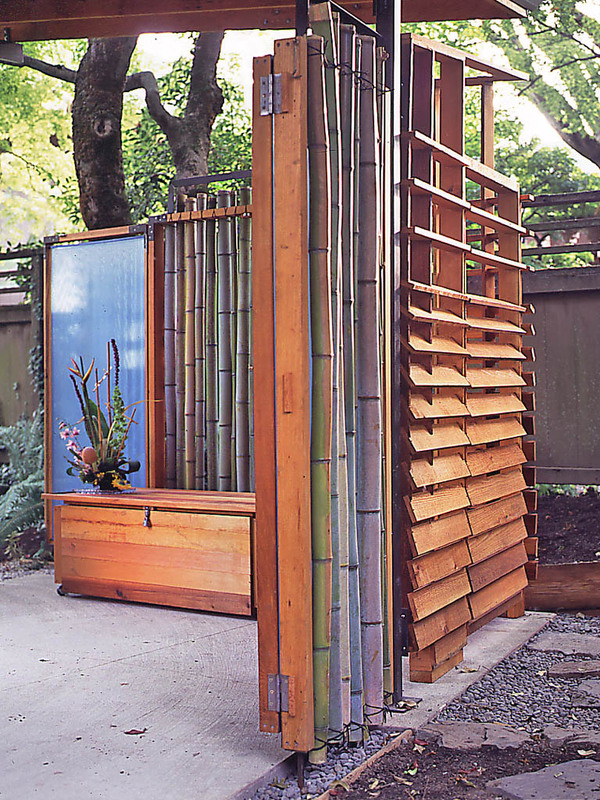 The garden is made of pathways, sculpture,trellises, grape arbors and dense groves of bamboo. 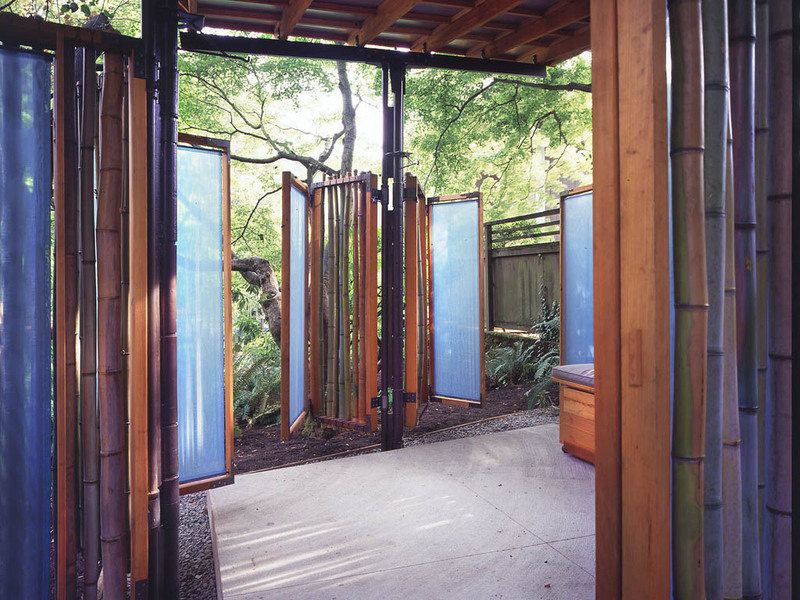 The space of the pavilion engages and disengages the space of the garden through folding screens. The visitor becomes the choreographer of the surrounding garden space. 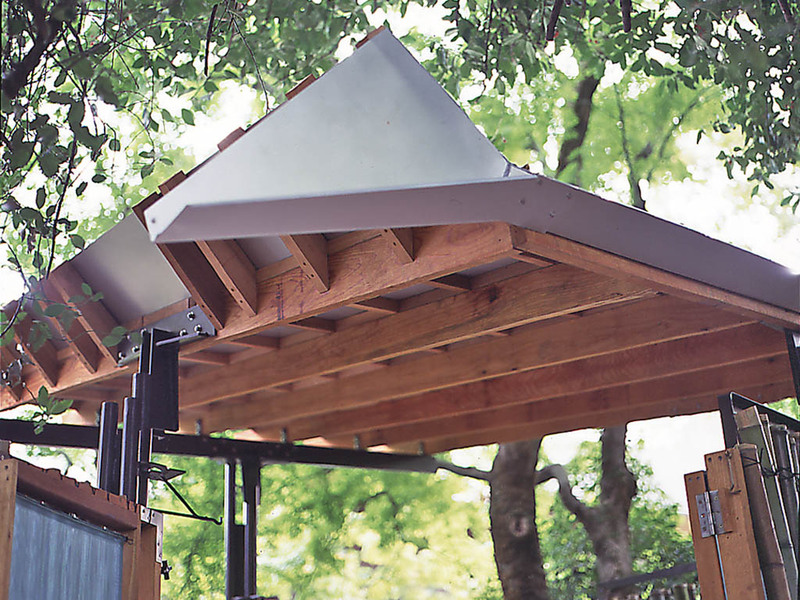 Materials are left raw to merge with the garden’s ever-changing color and textures. 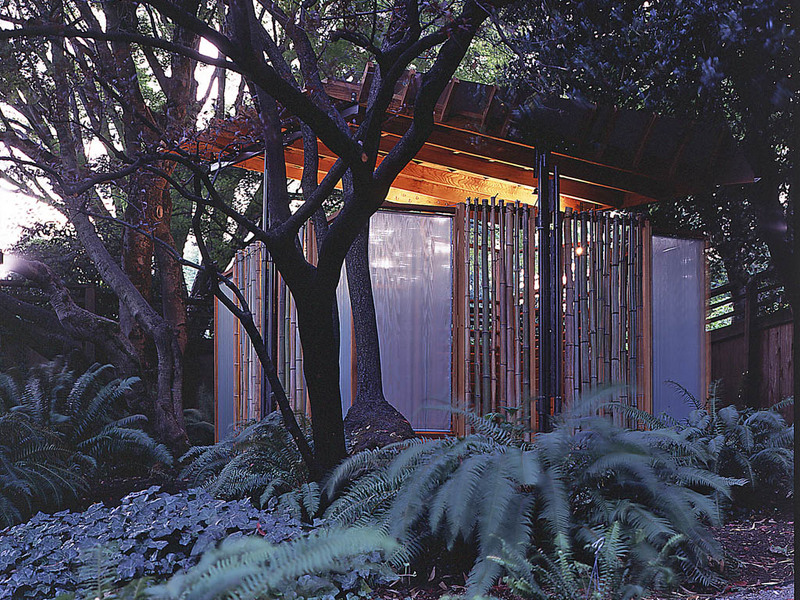 Columns grow from the earth, tilting the aluminum roof to reflect moonlight into the bamboo grove. 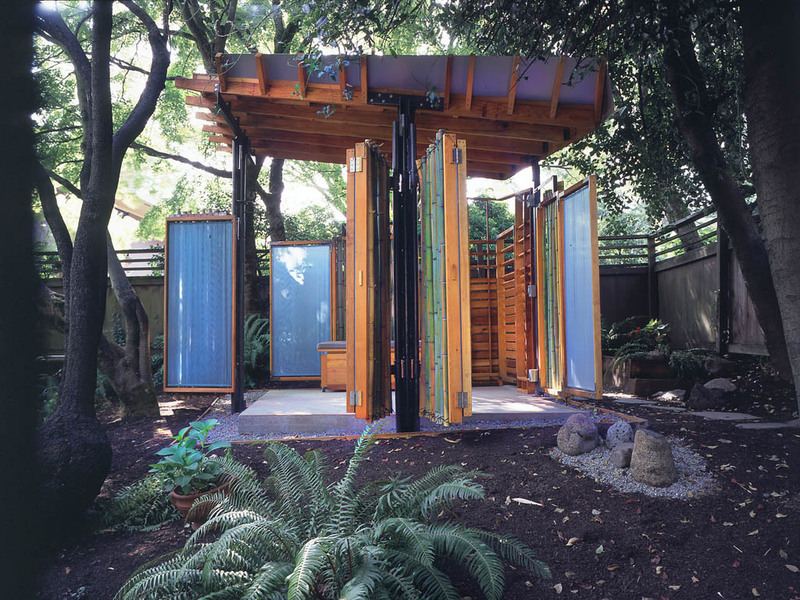 As screens open, revealing towering bamboo, perspective flattens and the pavilion folds the garden into its small interior.